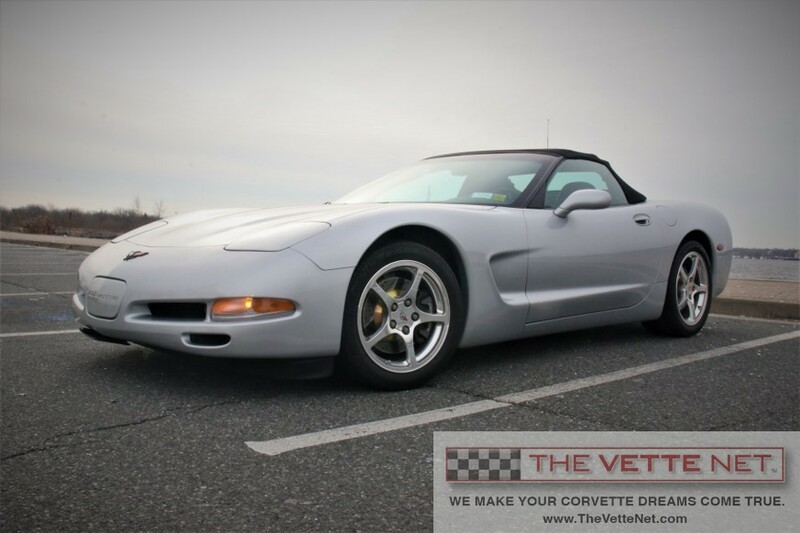 The C5 (fifth generation 97-04) offer some of the best values in the Corvette market today. This excellent 1999 low mileage (16,650 mile) convertible we are offering today will surely turn heads wherever you go. The silver/black color combo is truly a classic Corvette look. The owner has added a few upgrades that will only enhance your driving pleasure. Located in NEW YORK, we can assist with delivery nationwide and all over the world. Corvette trades considered, also financing is provided. In business since 1998, THE VETTE NET (on the Net at www.TheVetteNet.com) has established itself as the premier source for buying, selling and leasing Corvettes, with thousands of enthusiasts assisted nationwide and international. We are fellow Corvette Club members, we drive Vettes, we live the life-style, and enjoy the hobby. Our Motto is "UnderCommit - OverDeliver" and we guarantee a pleasant and straightforward experience.